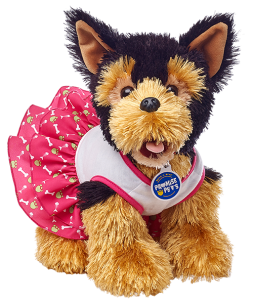 Petfinder is excited to announce a new partnership with Build-A-Bear as the company introduces their newest line of furry friends, Promise Pets™. Designed to look more like real puppies and kittens, Promise Pets™ introduces a new playful and interactive way to teach kids about caring for pets through a complementary mobile app. The app incorporates everyday pet care tasks and provides guidance on topics like feeding, potty training, vet checkups, exercise, and grooming through fun and challenging games that take users from “Pet Care Rookies” to “Pet Care Pros.” It’s another wonderful way to create a realistic play experience for children while also teaching them about the responsibility of pet ownership. Additionally, now through May 31, customers can make donations via in-store or online checkout to support educational outreach programs, administered by the Petfinder Foundation, that teach children about caring for pets.